This lovely bouquet is designed all around and makes the perfect treat. The white basket is adorned with white cushion mums, red standard carnations and red pixis. 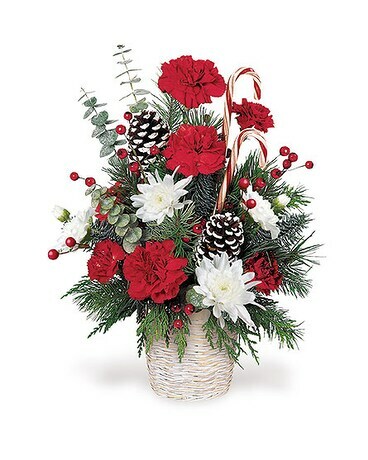 Frosted pine cones and red berries provide the finishing touches.